The diagnosis of iris melanoma can be difficult, with no established diagnostic criteria currently available. Careful monitoring of patients with suspicious iris lesions is one approach to managing these tumors. We determined the risk of malignant transformation and melanoma-related mortality in patients under observation to evaluate the validity of this management approach. This was a retrospective chart review of patients with suspicious iris lesions diagnosed at Massachusetts Eye and Ear Infirmary (MEE) between 1975 and 2014. All patients with an initial diagnosis of suspicious iris lesion followed and/or treated after malignant transformation at the MEE in this 39-year period were included in the cohort. Rates of malignant transformation and melanoma-related mortality were calculated. Treatment outcomes after proton beam irradiation were evaluated in patients who developed iris melanomas during observation. Two hundred thirty-four patients had a diagnosis of suspicious iris lesion (median follow-up, 5.8 years). Malignant transformation occurred in 16 (6.8%) patients with suspicious lesions during the observation period (median follow-up, 9.9 years). All patients diagnosed with iris melanomas were treated with proton beam irradiation (PBI). 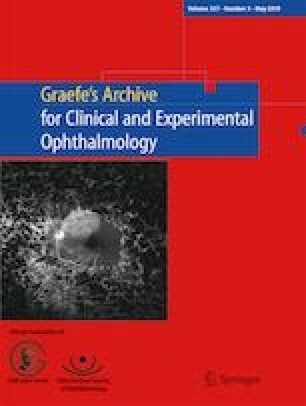 Complications after treatment included cataract (18.8%), secondary glaucoma (6.3%), and neovascular glaucoma (12.5%). Two of 16 patients (12.5%) who developed iris melanomas died of metastatic melanoma 32.6 months and 10 years after treatment with PBI. Both cases had been followed regularly to monitor for malignant transformation of their suspicious lesions (8.2 years and 3.2 years before melanoma diagnosis, respectively). These data suggest that suspicious iris lesions have low malignant potential, and a conservative approach to the management of these lesions is appropriate. Survival does not appear to be compromised with an observational approach, and there is potential for preservation of good visual function because vision-threatening treatments can be avoided. This study was funded by Mass Eye and Ear Melanoma Research Fund and the Grimshaw-Gudewicz Charitable Foundation. Dr. Kim has received research support from Genentech and consulting and research fees from Genentech, Iconic Therapeutics, Allergan, Castle Biosciences, and Alcon. Dr. Gragoudas acts as an advisory/monitoring board member of Iconic Therapeutics, Aura Biosciences, and Astellas Pharma Inc. Dr. Gragoudas also holds a patent in Valeant Pharmaceuticals. Authors Oxenreiter, Lane, and Jain declare that they have no conflict of interest. This study was conducted in accordance with the ethical standards of the Mass Eye and Ear Institutional Review Board that granted an informed consent waiver for this retrospective chart review study.